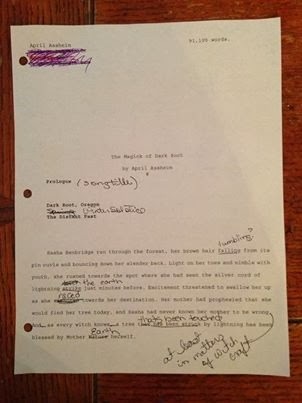 Just started editing my first draft for The Magick of Dark Root. Thought I'd give you all a glimpse of the creative process, which is actually less creative and more of a process. Still, its so exciting to get that far along in a project. Hoping this will be out by May 2014. The sequel to The Witches of Dark Root is about life, what it means and why we are here. Oh, and there will be a zombie. Gotta have a zombie.